The incumbent is more experienced, but he hasn't gotten results. Voters should give his challenger a shot. Editor's note: This endorsement is part of a series of editorials in advance of the Nov. 6, 2018, general election. Also in this Oct. 17, 2018, issue, our editorial board endorses Ron Noble for House District 24, Rich Vial for House District 26, Susan McLain for House District 29, Janeen Sollman for House District 30, Brad Witt for House District 31, Tiffiny Mitchell for House District 32, Betsy Johnson for Senate District 16 and Knute Buehler for governor. Our endorsement editorials in the previous issue on Oct. 10, 2018, recommended voters elect Tom Johnston, Malynda Wenzl and Devon Downeysmith for Forest Grove City Council; Luis Hernandez and John Colgan for Cornelius City Council; and Beach Pace, Kyle Allen and Olivia Alcaire for Hillsboro City Council. Our Oct. 3, 2018, endorsement editorials recommended voters elect Kathryn Harrington as Washington County Board of Commissioners chairwoman and approve Ballot Measure 26-199. Our Sept. 26, 2018, endorsement editorial recommended voters reject Ballot Measures 103 and 104. Our Sept. 19, 2018, endorsement editorial recommended voters reject Ballot Measure 105. Our Sept. 12, 2018, endorsement editorial recommended voters approve Ballot Measure 102. Senate District 15, the Oregon Senate seat which represents everything from Hillsboro and North Plains west to Forest Grove, Cornelius and Banks, is Democratic-leaning and is becoming bluer by the day. It's held by one of the Senate's assistant majority leaders, a veteran lawmaker who has spent a decade learning the ins and outs of Salem politics. This endorsement should be a slam dunk. Democrat Chuck Riley spent six years in the Oregon House before winning a squeaker of an election four years ago for the Senate — claiming victory by fewer than 300 votes. He is currently running for his second term against political newbie Alexander Flores. This race gave our editorial board the most trouble this election cycle. Riley rarely sways from Democratic Party lines on issues, and in a district that has grown more and more Democratic over the past decade, we suspect he aligns with the politics of the majority of area residents more than his opponent. With his experience in Salem and name recognition with constituents, this should be an easy decision for us. Riley has been in politics, off and on, for close to 20 years. He lost a bid for Hillsboro City Council in the early 2000s before making a go in Salem, where he served in the House from 2005 to 2011. He ousted Bruce Starr for a seat in the Oregon Senate in 2014. But in that time, Riley has yet to leave his mark in Salem. Sure, he's had his wins, but they've been few and far between. Riley told us the bill he's most proud of is a 2007 bill requiring Oregon to adopt "plain language" when communicating with the public. He also pointed to his work to curb "predatory towing." Maybe we're cynical, but we'd have hoped a senior statesman in Salem would have a better record than that. Riley talks a lot about supporting proper funding for education, but he balks at claims that Oregon continues to have an abysmal graduation rate. "Different states measure different things (when calculating the graduation rate)," Riley told our editorial board. "Hopefully it's not as bad as it's made out to be." That's a bad answer. We don't think Oregonians should accept that answer. Flores, meanwhile, spent four years on the board of Centro Cultural de Washington County, a Cornelius-based nonprofit that works with Latino and immigrant communities on education, economic development and cultural programs. A senior supply chain analyst at Freightliner, Flores ran unsuccessfully for a seat on the Hillsboro School Board two years ago. Now, as in 2016, Flores faces an uphill battle. A Republican, he is looking to represent a district that skews Democratic, in an election where the specter of President Donald Trump hovers over every political race, whether local or federal. Flores stresses that he isn't a "Trump Republican." 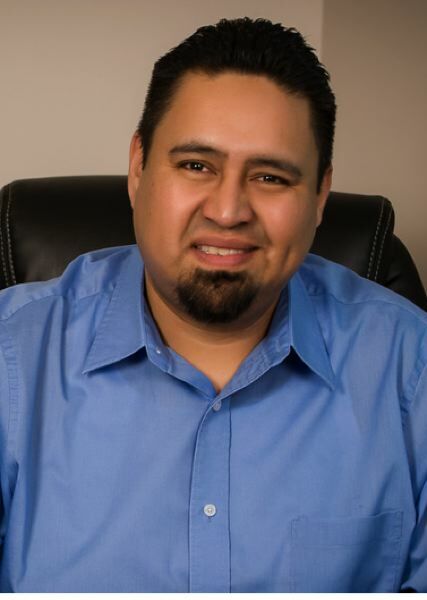 He spent years at Centro Cultural working to help Washington County's rising Latino population, experience that looks good on a resume in a diverse district like SD 15. He left his position at Centro Cultural this year to focus on this race. Neither of these men are flashy politicians, and they don't try to be. Flores' biggest weakness is his lack of experience. His ideas lack the polish of someone who knows and understands how Salem works. But during an interview with our editorial board, Riley also stressed generalities. "I'm not an expert," he repeated on issues ranging from transportation to education and climate change. These are areas Riley says are major issues of concern for Oregon, and after years in Salem, we'd hope he'd have put in the work to learn about these issues, as others in Washington County have done, like Rep. Susan McLain, a former teacher who has thrown herself into her work in Salem, learning everything she can on areas she is less versed in, such as transportation. We do like some of Riley's ideas, but they rarely make their way into actual legislation. He is very proud of his work to create a task force on post-traumatic stress disorder last year to help treat struggling veterans, but that task force never came to be. His idea to wrestle management of the Hillsboro Airport away from the Port of Portland, well-intentioned though it may have been, was doomed from the start. Riley is committed to the causes he loves. He has tried twice to fund more after-school programs for kids, a bill he says he'll bring back to the Senate again. "We just have to work harder," he said, when asked how he'd make a third attempt at a seemingly no-brainer bill stick. "The people already agree with me, but I've got to have legislators." If Flores is elected, we don't expect him to be a barn-burner in his first year, but he knows the people and the issues impacting this county. Flores will have to work across the aisle on almost every issue if he wants Democratic support, and he says he's committed to doing that. He's not interested in addressing national politics in Salem, he said, just local ones. "We're not in Washington, D.C.," he told us. "We're in Washington County." Flores has his warts, too. A candidate who advocates that Oregon should spend its money more wisely, Flores filed for bankruptcy in 2000 after a bad car crash. In a separate incident, he was sued for not paying his credit card debt in 2015, this newspaper has learned. Flores told our editorial board he didn't know enough about fiscal literacy and programs available to help struggling families at the time of those incidents. That's not a great answer, but we don't believe that it should disqualify him from office. Honestly, we like Flores more for the school board than as a senator, but we believe that with the proper help and guidance, he could turn into a solid legislator. If Flores is elected, we're going to hold him to buckling down, learning the issues and getting over the freshman hump as early as possible. As the economic engine of the state, SD 15 should play a more prominent role in state politics, and we hope Flores can be that voice for Washington County. We encourage voters in SD 15 to take a chance on the challenger, and vote Flores this fall.